To be frank, I'm not a very traditional or cultural person. I prefer the current modern lifestyle, and I am actually a little more western cultured. But no matter what I am still Asian and Chinese. 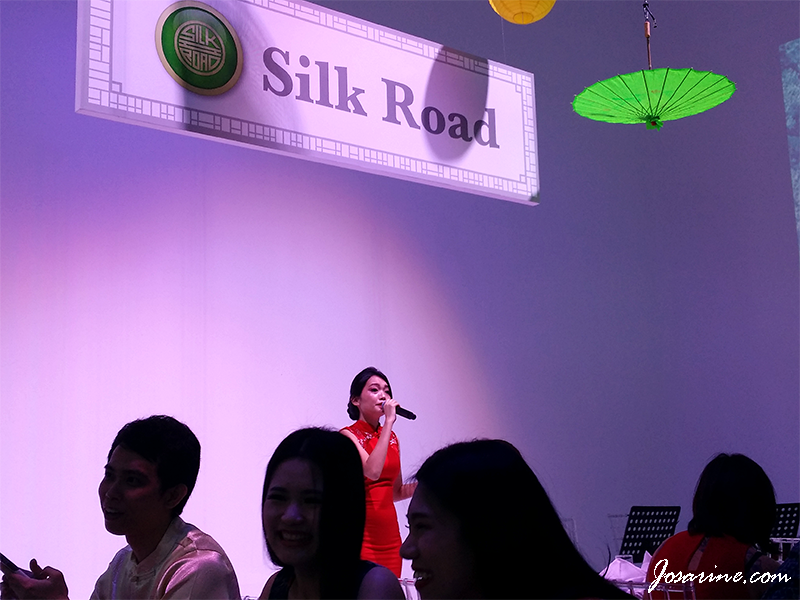 So last week I got the opportunity to witness the Eastern culture, thanks to Silk Road. I have written a post about Silk Road, you may see it HERE. Xiang, Samantha, Michele Samuel and Henry. 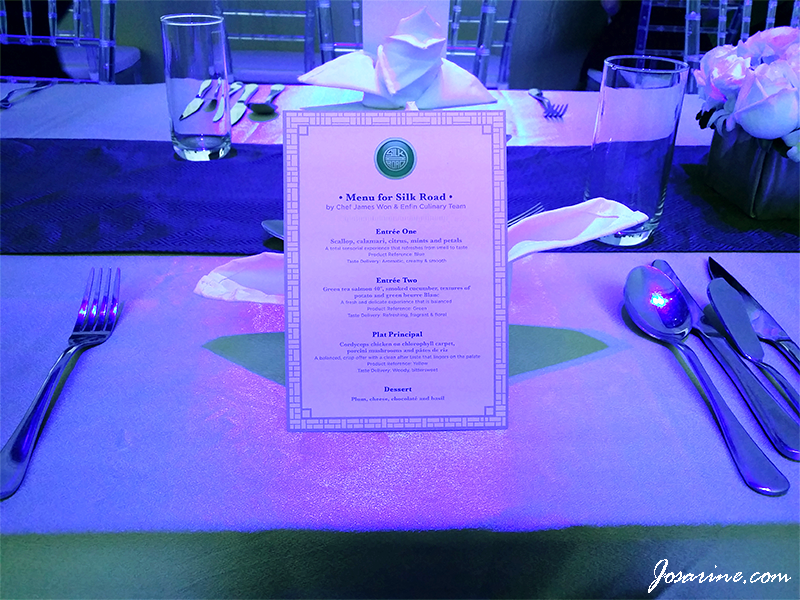 The decoration at the event really made me feel like i'm in China or something, it was very oriental and cultural feel which somewhat brought me back to my ancestors time for a bit. 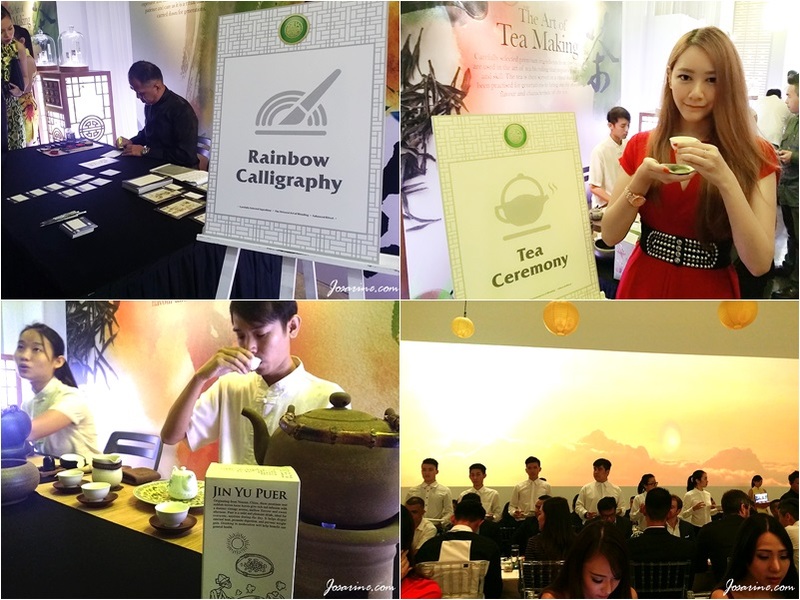 There was Rainbow Calligraphy, Tea Ceremony and more! 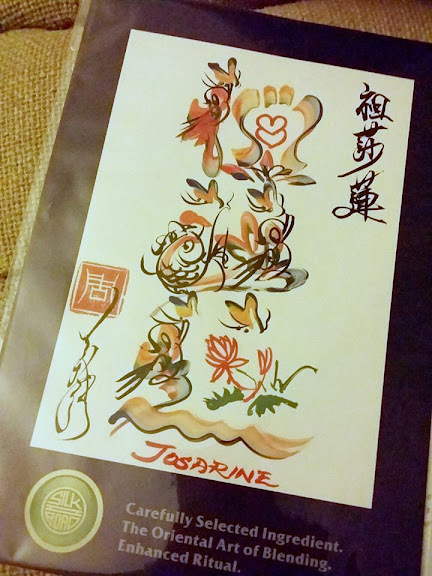 For the Rainbow Calligraphy, I gave the artist my name as "Josarine" as it is a name that I created and represents me. 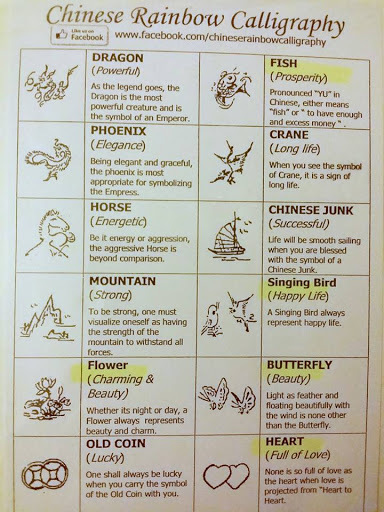 Based on the calligraphy, I got these results... which pretty much represents who I am or want to be. 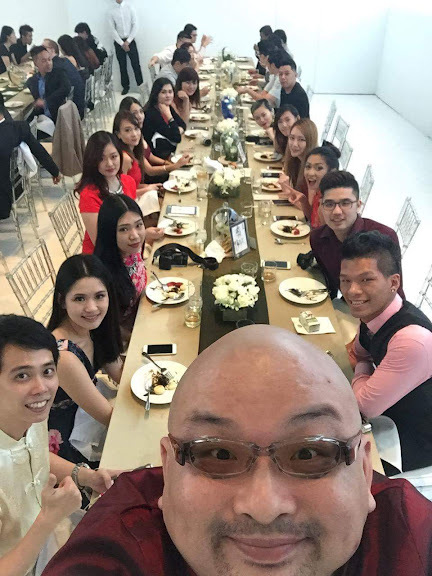 Now lets get info Eastern Style Fine Dining. 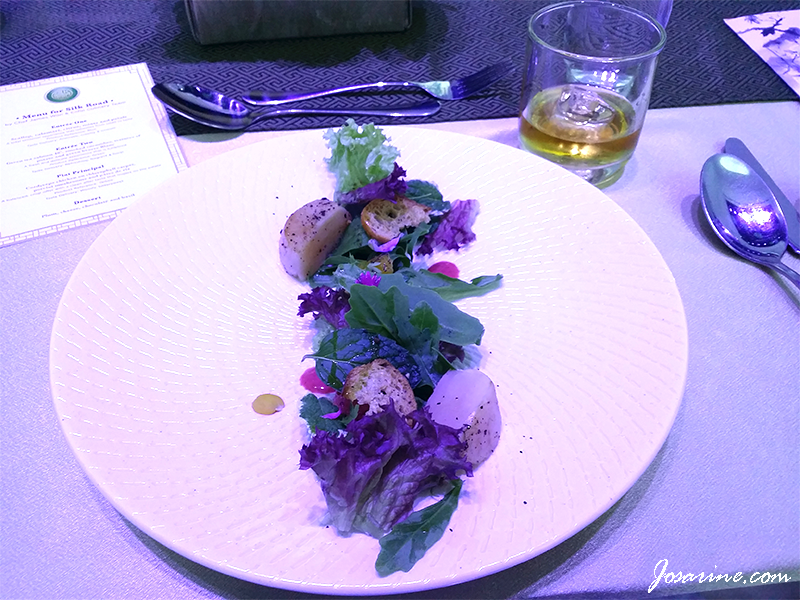 :) Each dish paired with a glass of whiskey on the rocks and Shuang Xi cigarettes, not forgetting the lighting colour to match the theme. Taste deliver: Aromatic, creamy & smooth. Personally I do like this because I like scallop, and the mint leaves and other greens compliment the taste. Goes well with the Shuang Xi cigarette in Blue. Entree Two: Green tea salmon 40 degree, smoked cucumber, textures of potato and green beurre Blanc. A fresh and delicate experience that is balanced. Who can say no to Salmon? Not me! I heart Salmon, I can eat it few times a week. The way this Salmon was cooked was careful as the outside was cooked but inside still raw. If I was given this dish again I would be happy to have them. This dish goes well the Shuang Xi's Green cigarette. 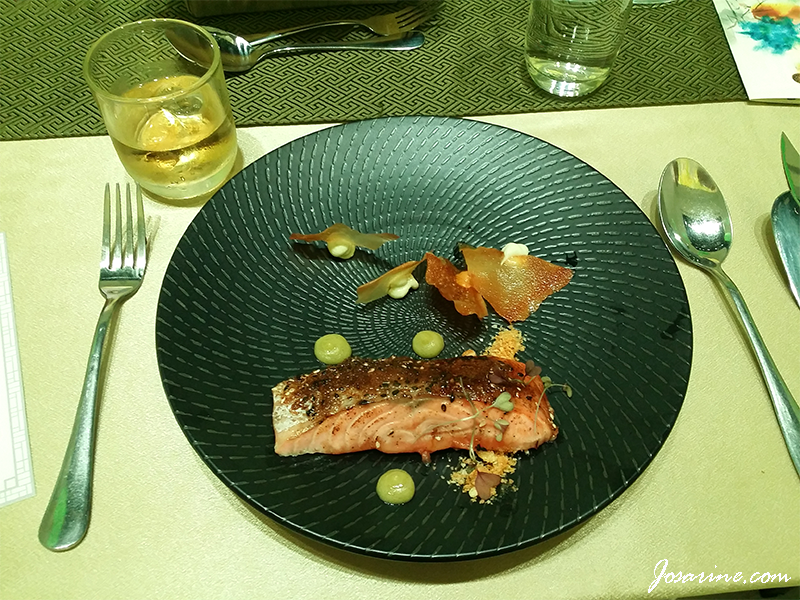 Take a puff of the Green ciggy and then eat the salmon to have the "smoked salmon" experience. 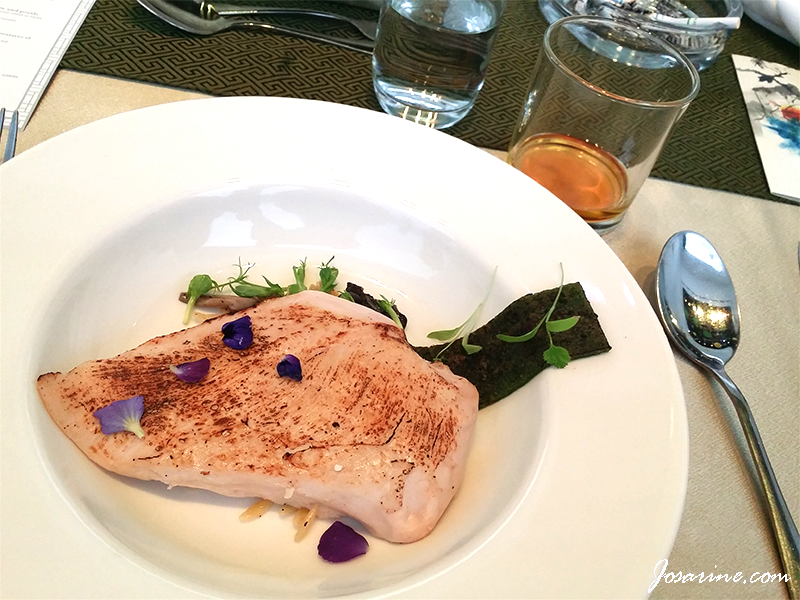 Plat Principal: Cordyceps chicken on chlorophyll carpet, porcini mushrooms and pates de riz. A balanced, crisp offer with a clean after taste that lingers on the palate. I was very happy with the dish choices to be honest. Salmon & chicken breast? My all time favourite! Not forgetting low in calories, high in protein. This dish was like chicken rice fusion style. They would pour soup into the dish to eat together with the chicken and the rice pasta. One of my favourite ingredient in this dish is truffle! :) This dish was well paired with Shuang Xi Yellow. 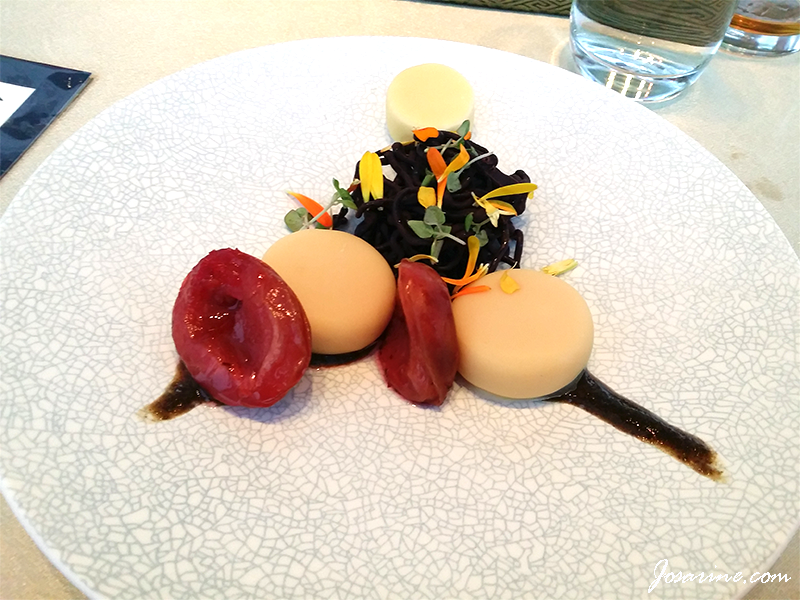 Dessert: Plum, chocolate and basil. 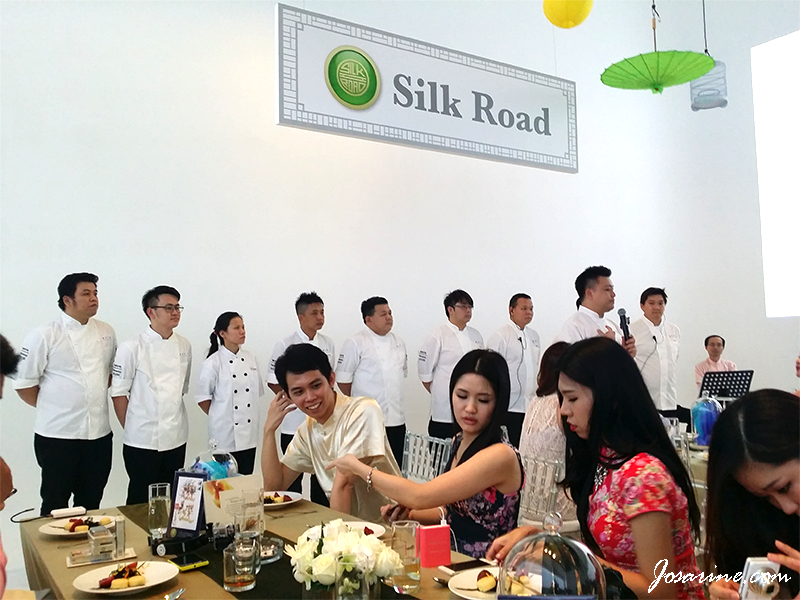 The chefs that took effort and dedication to create these wonderful dishes. As we were savouring the oriental dishes, we were accompanied with a talented girl. 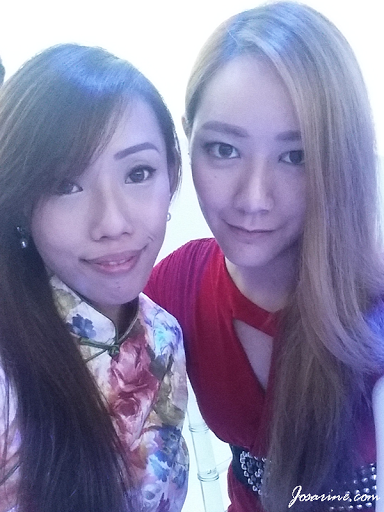 Her singing really made me feel like back into olden days, during Ip Man time (big fan of Ip Man here :p). Wow, the scallop calamari looks so delicious, wish to try it. dessert also looks high class.